Clinic Synopsis: So you have been asked to teach orchestra instead of, or inaddition to, band. Or maybe you are a first year strings teacher and wondering how to put all of education to work for you. Now what???? Learn how to set up a beginning string student as well as get suggestions for the new high school orchestra teacher. Learn some new tricks from an old dog. It's not rocket science, but you will have a Blast!!! Clinician Biographical Information Bobbi Mauldin recently retired after teaching orchestra for over thirty years in the Texas public school system. She now maintains a private violin studio in Seguin, TX as well as being the Director of the Texas Lutheran University Community Music Academy. The TLU Community Music Academy is a nonprofit community music school providing music education to students of all ages and levels of ability. While teaching orchestra, Mrs. Mauldin's groups were consistent UIL Sweepstakes award recipients, and many of her students placed in the Region and All-State Orchestras each year. 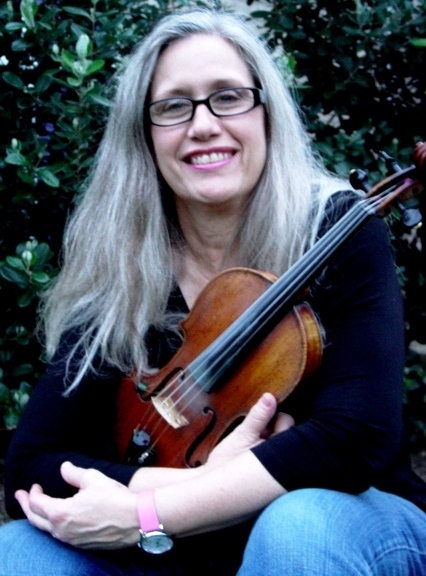 As a registered Suzuki Violin teacher, she founded the violin program at McGaha Academy in Wichita Fall, TX as well as the violin program in Pecos, TX. Mrs. Mauldin has received several awards for innovative teaching and a government grant for a music listening program she designed and implemented at McGaha Academy. She has presented at the Magnet Schools of Texas Convention and the Midwest Clinic. She conducted the Clear Brook High School Chamber Orchestra at the Southeast Regional Music Convention in Monroe, LA and the Denton High School Orchestra in Carnegie Hall. Mrs. Mauldin is a member of the Texas Music Educators Association, Texas Orchestra Directors Association, Texas Music Adjudicators Association and the Suzuki Association of the Americas.